A Calgary-based non-profit is planning to construct tiny homes to house Canada’s homeless military veterans. The Homes For Heroes Foundation was developed to help address homelessness among Canadian veterans. 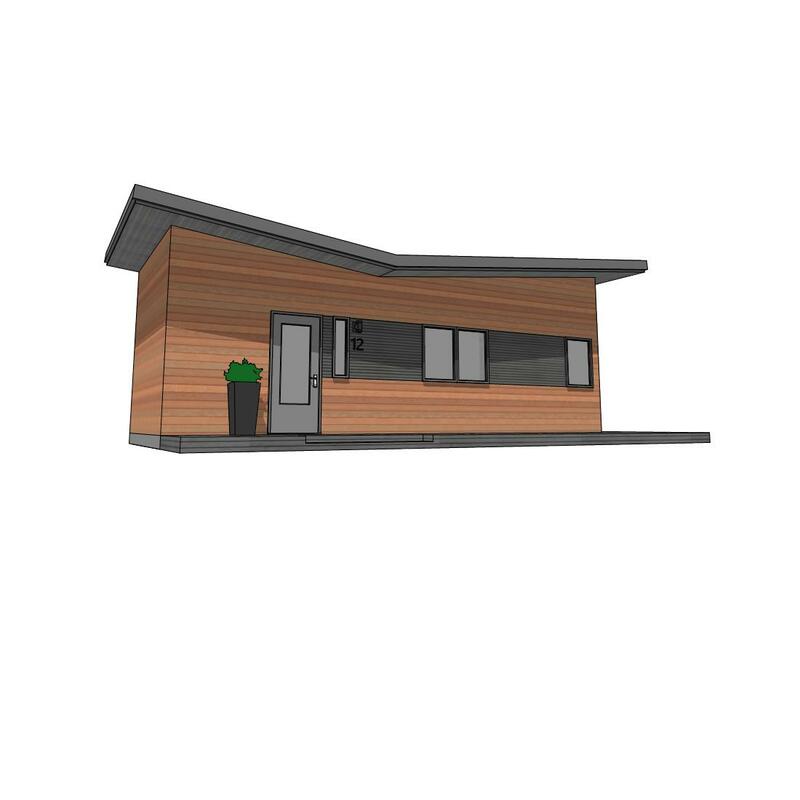 The foundation is planning to build 20 tiny homes around a communal garden with its inauguration planned for November 2018. Eventually, the foundation says it would like to expand the program to 30 cities across Canada. "This program is the first of it's kind in Canada," says David Howard, president of Homes for Heroes Foundation. Howard says the cost to cities of having anyone on the streets can be up to $80,000 a year due to shelter costs, legal fees, food banks, and social services. This program can eliminate those costs, says Howard. The cost of the program is $2.5 million and is funded by the McCann Family Foundation, Canadian Legacy Project, ATCO, private individuals, and other businesses. Howard says the Homes for Heroes Foundation hopes to eventually be self-sufficient. According to Veteran Affairs Canada, roughly four percent of homeless individuals (about 2,600 in Canada) are military veterans, and to provide perspective, there are roughly 200,000 total homelessness cases in Canada each year. By comparison, three percent of Australia's homeless and seven percent of the United States' homeless are military veterans. Veteran Affairs Canada responded in an email that veteran homelessness is unacceptable in Canada and that the department supports initiatives that seek to prevent homelessness among veterans. They further stated that the department is working to build capacity so that homelessness is avoided, rare, or brief, and that no Veteran is forced to live on the street. According to the Homes for Heroes website, the transition from military to civilian life can be difficult. The process can affect many facets of a veterans life and impact an individual personally, psychologically, socially, financially, and professionally. These challenges can eventually lead veterans to become homeless. "Military homelessness doesn’t happen automatically. It’s usually a progression of five to seven years," says Howard. He says many of the veterans who are now homeless served in Afganistan. The tiny homes are based on the concept of barracks in the military. “Veterans will have each other's back. That’s what this is built around, to better each other and to work as a unit, “ says Howard. 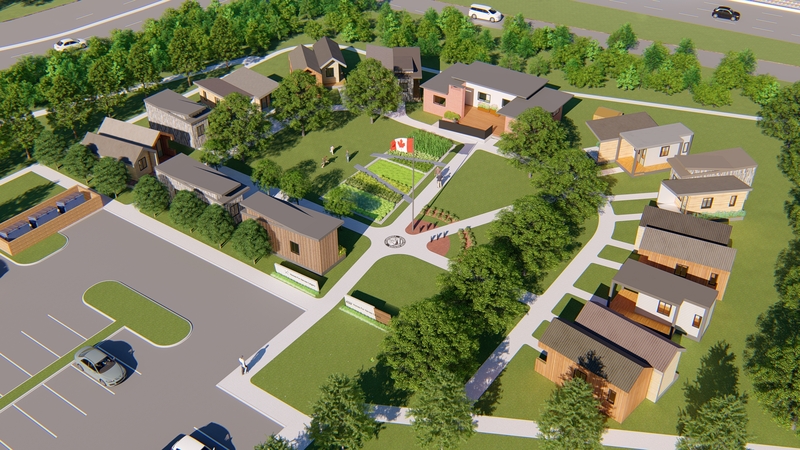 All the homes built by the Homes for Heroes Foundation will be named after a member of the Canadian military. Each fully furnished unit will be approximately 250 square feet and include a fridge, oven, sink, built-in storage, and a breakfast bar/workstation. The bathroom features a shower/tub, toilet, sink and additional storage. Each unit includes basic cable, Wi-Fi and a telephone line. Howard says the organization is working with an art team to make each home distinct and architecturally pleasing. "The goal isn’t to go into a community and build sheds. We want them to be unique and not every single house will be the same." The 20 houses will be built on one acre of land. The goal of the project is to integrate the veterans back into civilian life, which include veterans are expected to pay rent each month. Howard says this concept can be applied to other demographics, such as seniors, students, and new Canadians. “The possibilities are endless,” says Howard. - Nomad Micro Homes: Less Is More… Or Is It?